Come one! Come all! Circle April on the calendar for a month of circus-surprises at Kids Quest! 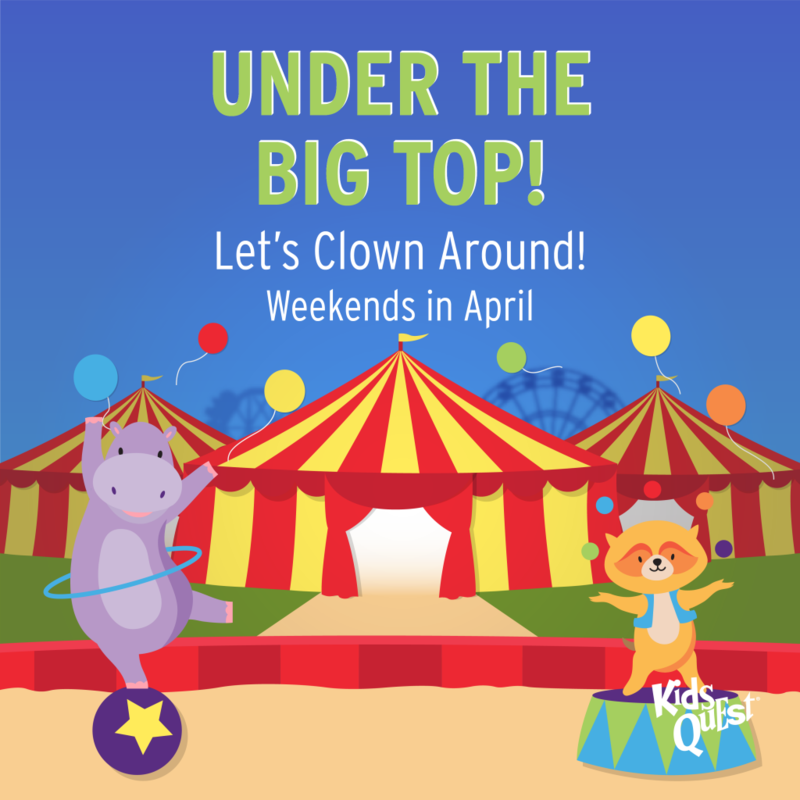 We’ll be clowning around each weekend, juggling big top games, crafts, and activities that will be sure to make the kiddos smile. What time are the circus activities starting and ending every weekend?